Hello everyone! 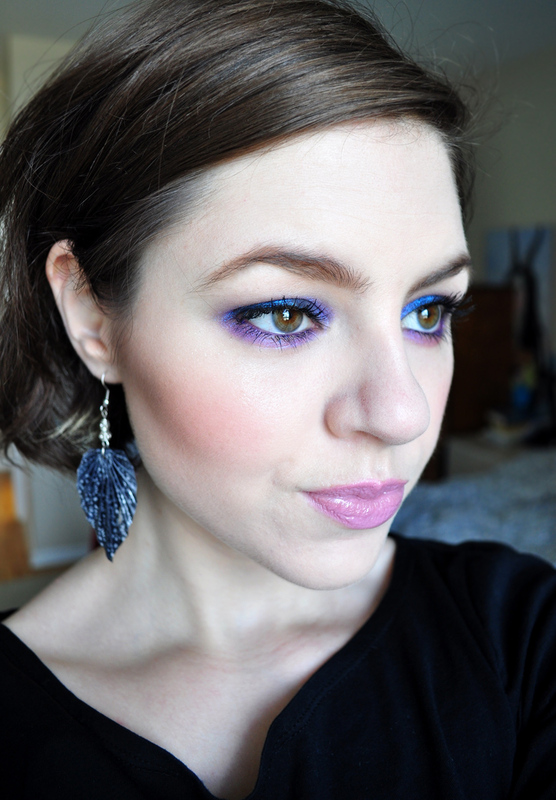 For this week’s installment of Nosy Beauty, we have Laura! I met her on LiveJournal when I was in high school (!) and I knew her from her photography and cute comics. Many, many years later, I discovered that she loved makeup but I never really thought twice about it until after I got into makeup, too. 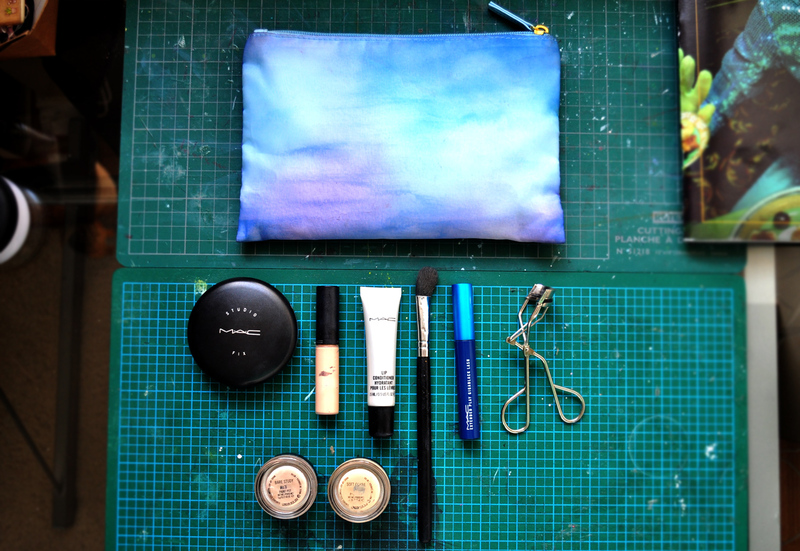 Here’s a peek into her makeup bag and quite a bit of her somewhat-daily staples. Enjoy! On Laura’s face, a casual Look: Bare Study paintpot and Extended Play mascara on eyes, Coquette in the brows, Select Moisturecover and Studio Fix Powder, Fleur Power on cheeks, Tarte’s Hope and MAC’s Lip Conditioner on lips. *Disclaimer: You’ll notice that 99% of my makeup is from MAC. Aside from the fact that I really do love their products, it just makes sense that I put my money into products that I can actually use for my job. Some of my coworkers will sometimes wear products that aren’t MAC, but I’m a really bad liar and can’t think of substitutes on the spot. Therefore, I stick with MAC. I have so much makeup, and for work I am constantly changing up what I wear/what I carry on me at all times. On my days off, I often don’t wear any makeup unless I’m going out somewhere special. When doing my makeup there are certainly some staples, though. I will divide them into categories, in fact. Lets start with what I find most important, skincare! My skincare regime goes a little something like this: Wash face with Cremewash twice daily (once when I wake up and again after removing my makeup at the end of the day), exfoliate with Volcanic Ash two to three times a week, use the Lightful Softening Lotion after washing or exfoliating. It helps to even out and brighten tone and texture, as well as protect the skin from free radical damage (i.e. air pollution). Lastly, I moisturize. Depending on how much moisture I need, I usually switch between Strobe Cream, which has optical diffusers and gives the skin a glow, or Complete Comfort. The latter is super rich and helps to soothe and even out the skin tone. Love it. For the face I always wear Select Moisturecover concealer—wonderful hydrating concealer that doesn’t feel or look cakey—and set it with Studio Fix powder (with a brush, not a sponge!). For my eyes I always use a lash curler and mascara. 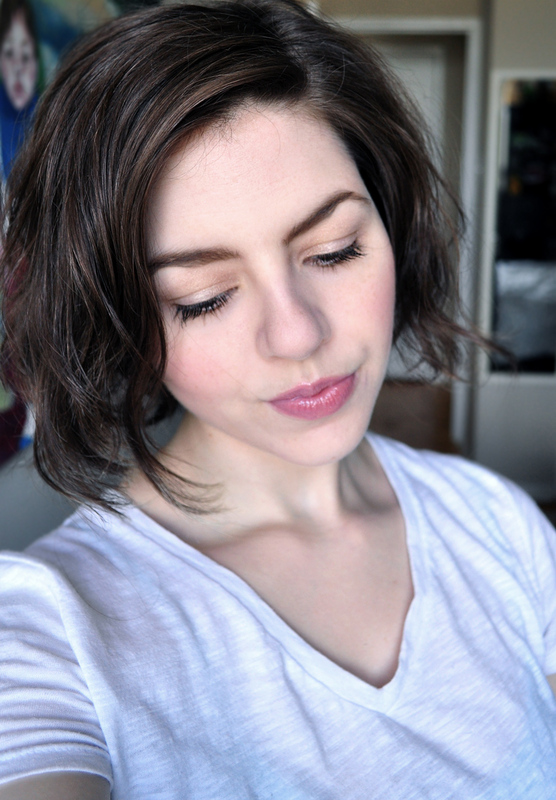 Extended Play is currently one of my favourites, though I love many of MAC’s mascaras. I also always use a paintpot as a base. They are 15 hours long-wearing and waterproof, so pretty amazing. I own many, but lately I’ve been wearing a lot of Soft Ochre and Bare Study. On days off I will often just wear Bare Study with mascara. 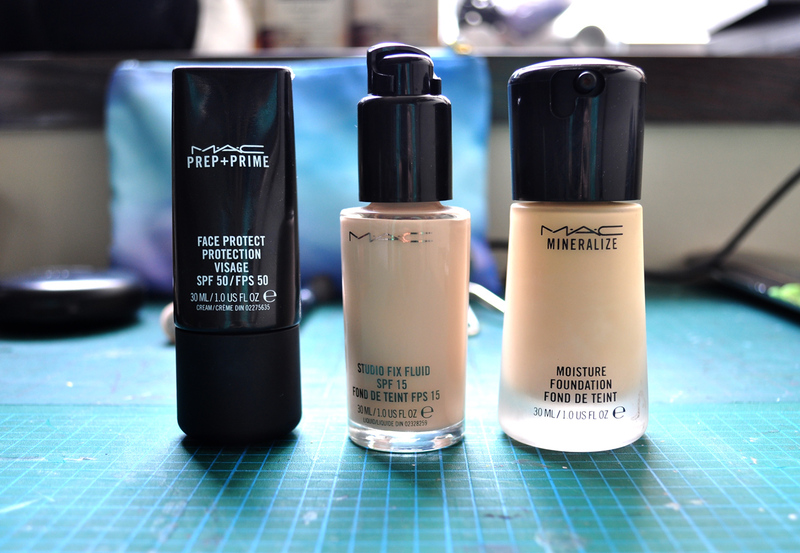 I’m also hooked on the Face Protect SPF 50 primer. It’s great all over if I’ll be out in the sun, but in the winter I’ll tend to just use it on my t-zone. I find it reduces oil production which keeps my makeup looking fresh for longer with less touch-ups needed. If I want more full coverage, I usually flip-flop between Studio Fix Fluid, or the new Mineralize Moisture foundation. If I want full matte coverage, I’ll go Studio Fix. If I feel like have a more dewy, hydrated look I’ll use the latter. For lips everyday: MAC’s lip conditioner is pure crack, and I apply it liberally throughout the day. 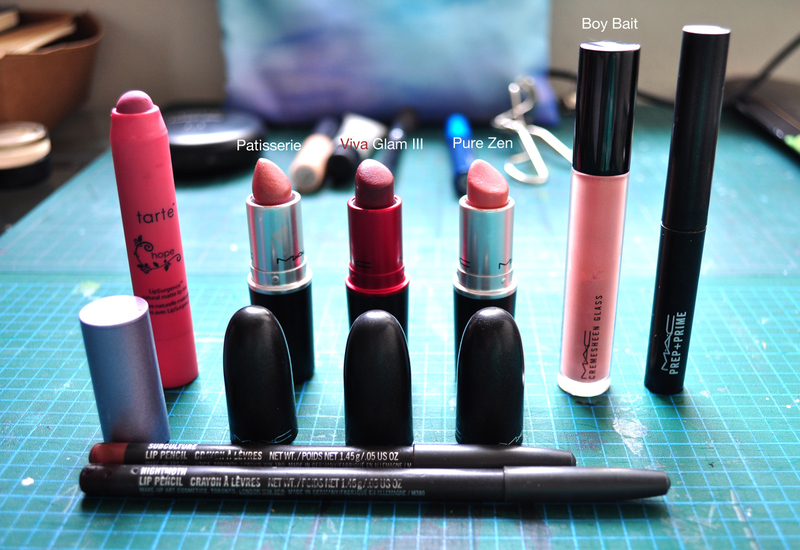 For colours, some of my favourites are Hope from Tarte, Patisserie, Viva Glam III, and Pure Zen. I love the Cremesheen lipglasses because they aren’t sticky, and often wear Boy Bait. I also always wear the Prep + Prime Lip underneath. It’s hydrating without being too wet, and helps prevent lipstick from bleeding. I’m not a huge lip liner wearer, but I do love Subculture for a natural liner, as well as Nightmoth for a deep bold lip. For contour I’ll use either Soft Sand (limited edition), or Matte Bronze (not featured due to the fact that mine is looking pretty gross, hah). 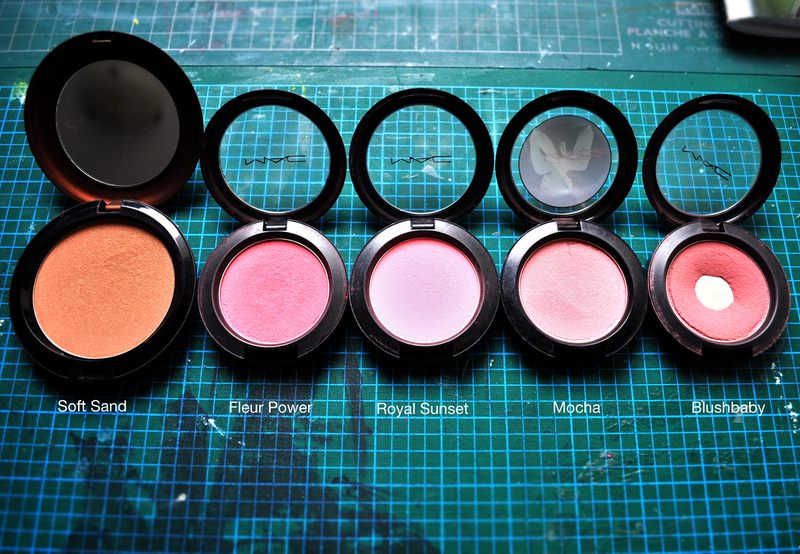 My favourite natural blushes are Mocha and Blushbaby. I don’t own Tenderling, but I may have to pick one up soon as it is even softer than those two. For a bit more of a pop I love Fleur Power or Royal Sunset (this one’s limited, sadly). I really love the new pressed pigments MAC has recently released. You can wear them wet or dry for completely different looks. Featured in the photo is Warming Heart for a soft look, as well as Midnight. 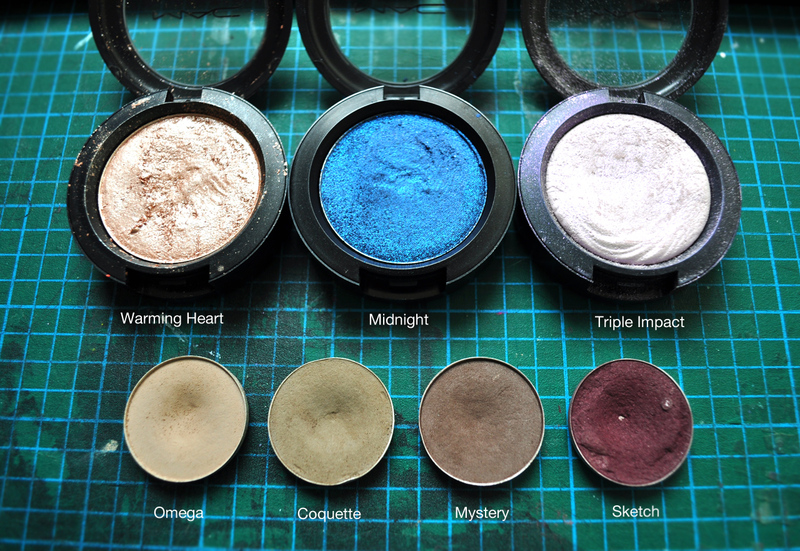 I also love Triple Impact, which isn’t a pressed pigment, but a limited edition Extreme Dimension shadow. I adore wearing it as a highlight on my face, actually. Also displayed in the same photo are my favourite eyeshadows to fill in my brows with, depending on how natural or dramatic I want to go. I very rarely use brow pencils or gels, as I find them too harsh and trickier to work with. I have become a pro at finding time-saving shortcuts, and this is one of the best ones yet. On Laura’s face, a work look: Midnight pressed pigment on mobile lid, Stars N’ Rockets eyeshadow and Parfait Amour eyeshadow underneath. Extended Play mascara, and Omega in the brows, Studio Fix Fluid and Powder on the face, with Royal Sunset on the cheeks. Snob lipstick with Viva Glam Nicki II lipgloss on the lips (oops, forgot to feature those two!). 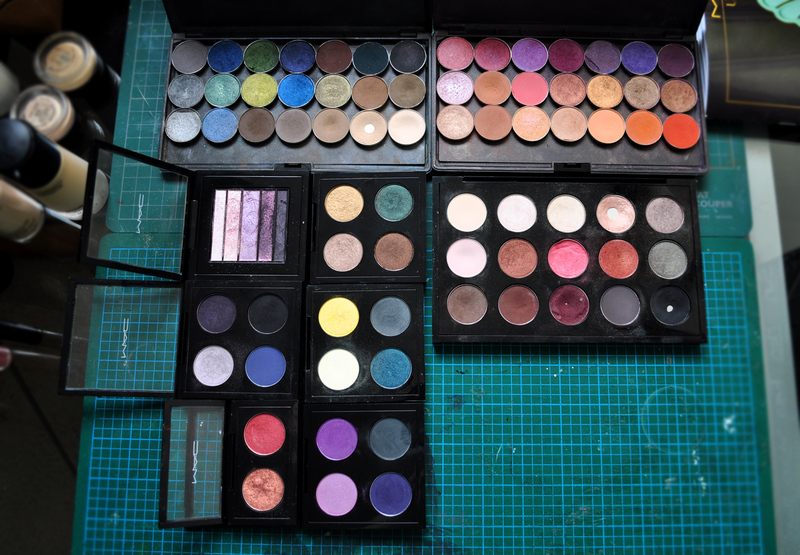 And a bonus photo of some of Laura’s eyeshadows! For more Laura, her Twitter, and Instagram. 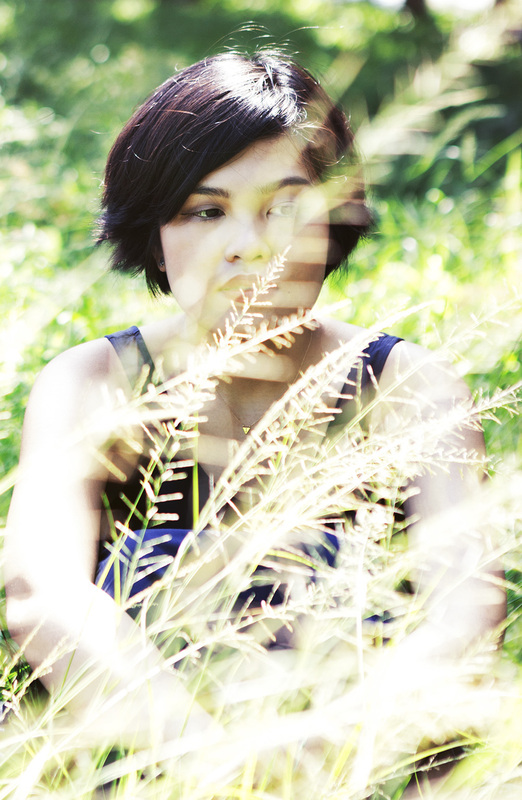 I’m quite a fan of her blog, too, especially her film photos, but it hasn’t been updated in a while! 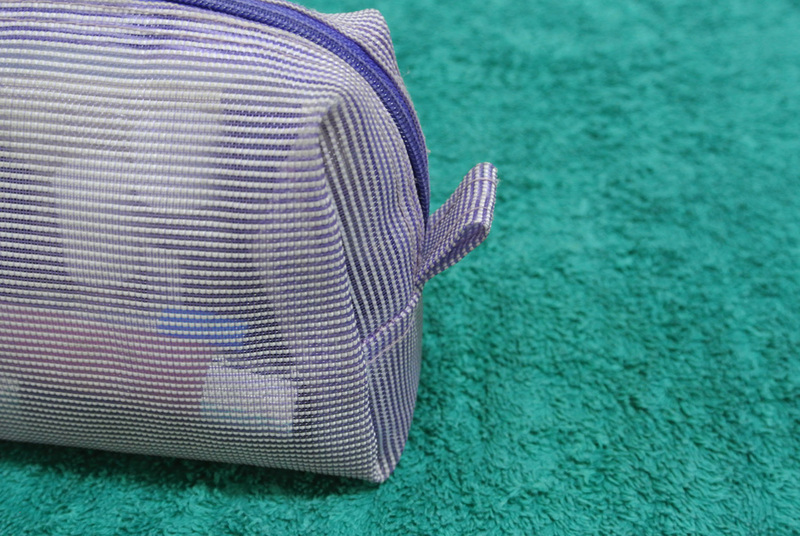 Here’s a preview of next week’s bag. Can you guess who’s the next victim of my creeper-dom? OMG! Laura’s work look is uh-mazing! I know right? If only I had the guts. It suits her really well! Perfection. I want her eyeshadow collection! I love the eye makeup she’s modeling — very pretty! Haha, and I should update my blog again. I was actually thinking of completely redesigning it months ago, and then I never did, hence the lack of updates. I should get on that, I miss blogging! It’s you! 😀 Thank you so much for indulging this request, especially at such a busy time. I’m so glad you had fun, too. Yay, yes please! I always liked reading your posts because they had lots of beautiful photos. 🙂 I hope you do post some time soon, but of course, no pressure! 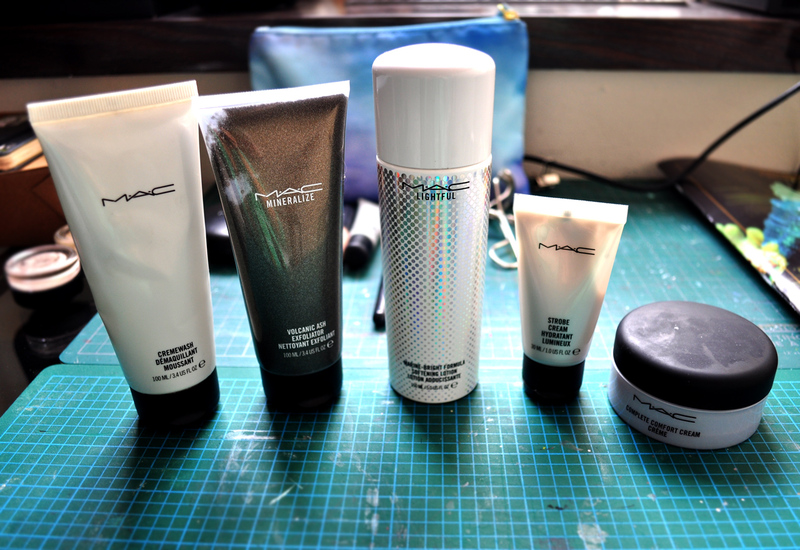 Anyway, I’ve always been curious about mac strobe cream. Do you think I can use that like a cream highlighter? Haven’t had the pleasure of using that, though I can ask Laura! I don’t see why not though. Yay! Thank you for reading and taking the time to comment. I really appreciate it. 🙂 What’s your Instagram?